Then comes the chance she has been waiting for — a muster of beautiful Welsh ponies that have run wild in the hills. Among them is Chessy, a striking stallion, and just the right size for Amanda. But small doesn’t equal easy, and first Amanda must prove she has what it takes by training a stroppy mare from Pony Club. Will Chessy ever be safe enough to join Amanda on her crazy adventures? 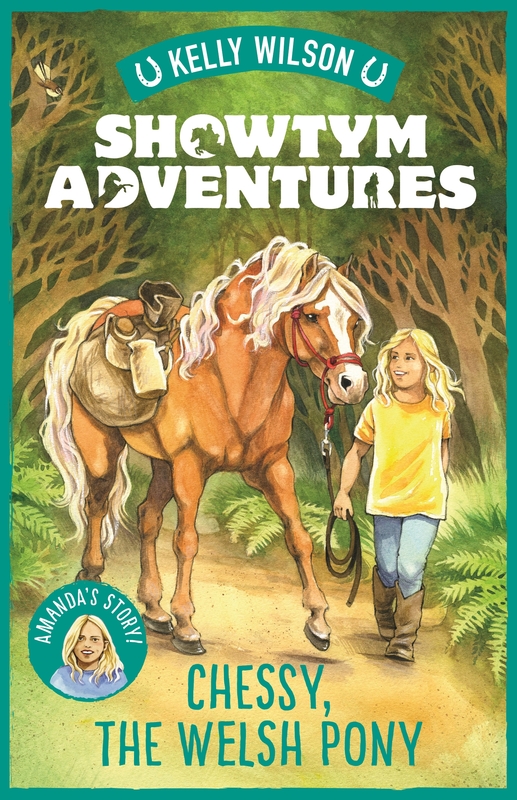 Vicki and Kelly must help Amanda to win her pony’s trust in this engaging story of perseverance and reward inspired by the Wilson Sisters’ early years. Another in the series by Kelly Wilson of the Wilson sisters who starred in Keeping up with The Kaimanawas. A family who have devoted their life to horses, show jumping and advocating for wild horses around the world, taming and raising awareness about the plight of the American Mustangs and Australian Brumbies and specifically the beautiful wild Kaimanawa horses near their home. They also run Showtym Camps, riding camps for young riders. The sisters rescue and tame wild horses and this book, written at a young adult level is loosely based around a story from Amanda Wilson’s childhood. It’s not the size of the pony in the fight but the size of the fight in the pony. Chessy is a beautiful stallion just the right size for the seven year old Amanda to train, but he has been running wild most of his life. If Amanda is to save Chessy and train him for a forever home with a kind family, first her parents want her to prove herself by training Magic a very difficult mare from the Pony Club. It’s a big ask.